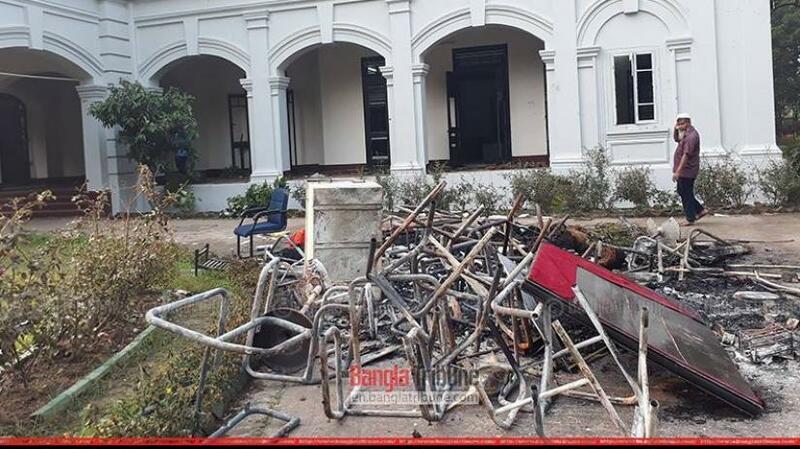 The police have repeatedly failed to submit the investigation report on four cases relating to the attack on the home of the VC of Dhaka University, vandalism of vehicles and the hijacking of police walkie- talkies during last year’s quota reform movement. As a result, the court has fixed a date for the tenth time for the submission of the investigation report. The ninth date was on Thursday (Feb 14), and now, the new date is Mar 24 next. On Apr 8 last, during the quota reform movement, the VC’s home came under attack at 1am. Attackers burnt vehicles and brought down the main gate of the residence. On Apr 10, the chief security official lodged a case while the other three were lodged by the police.